UFO SIGHTINGS DAILY: Planet X Seen Stealing Energy From Earths Sun In 2012 NASA Video, UFO Sighting News. 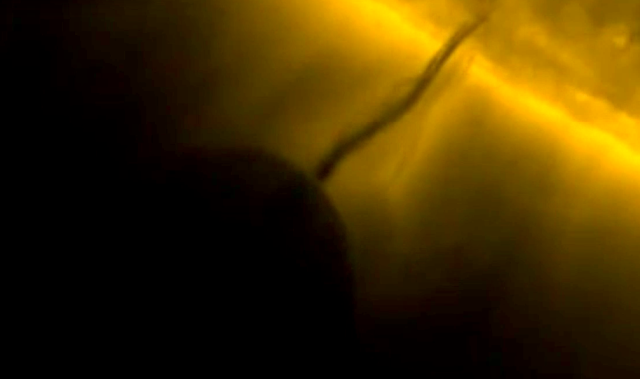 Planet X Seen Stealing Energy From Earths Sun In 2012 NASA Video, UFO Sighting News. This video was given to me by a Japanese movie director that came to record me a few months ago. He was a bit discouraged because he wanted to tell me its just gas leaving the sun, but its not. Its a giant UFO sucking the suns materials though a thin stream line. Its gravity is so big that when it leaves at incredible speed, its gravity causes a tsunami effect across the sun below the UFO. Amazing evidence of alien with hi tech ships. This is Nibiru, or also known as planet X, the mysterious planet that NASA says does exist, yet has never been seen before, until now. Actual footage of thy legendary Nibiru, which is proof that its not a planet, but a Venus size space ship that moves incredibly fast.